From a young age, cars can be a big major topic and interest for many and once you own a vehicle, it becomes even more important. Keeping it running efficiently, having its oil checked, and ensuring that it is safe for you to drive is critical. However, many owners wonder how they can possibly make their vehicles look even better than they already do. If this is something that you find fascinating, then here is a guide to help you out. Think about your wheels. Your wheels are a huge aesthetic feature on your car, so you have to make them look good. Rims are a big thing these days and have been for a while. There are tons of different choices out there when it comes to rim selection, including moto metal rims. These rims in particular are incredible because they are perfect for lifted trucks and SUVs. These rims are ideal for many due to their durability and appearance, which are sure to turn heads. You can purchase these rims in a number of colors, such as black, silver, and silver with red highlights, as well as various finishes. Accessorize. If you want to stand out, you will want to accessorize your vehicle. Keep in mind that a little can go a long way. Floor mats are a great way to accessorize while also protecting your interior floors from dirt and water during snowy or rainy days. Other accessories include seat covers, steering wheel covers, and fun air fresheners. Restore the finish of your car. 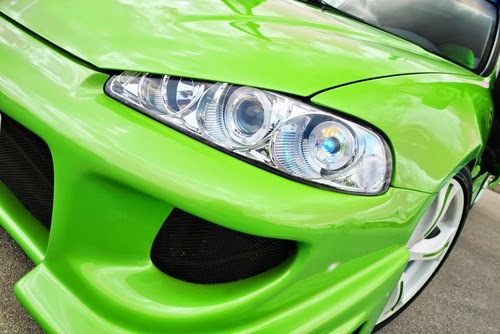 If your car has a few minor dings or perhaps some paint damage, then a restoration can’t hurt. Restore the finish of your car with a clay bar, rubbing compound and finishing with a long-lasting synthetic wax. These three simple ways can help your car to look absolutely incredible. Giving your car a makeover doesn’t take much – it’s the little things that go a long way.